You can search for books in a variety of ways such as by subject, author, and/or title. Go to www.nvcc.edu/library > Books & eBooks > type your search terms in the search box > Click "Search." 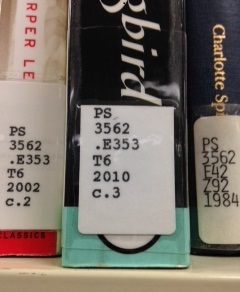 Write down an item's call number and look for signs on library shelves to locate call number areas. For more help ask library staff, view the video below, or see How to Find Books.